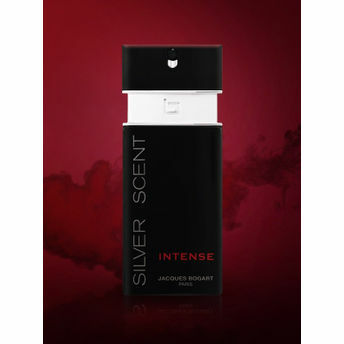 Jacques Bogart Paris Silver Scent Intense is an aromatic, fresh spicy fragrance for men. Top Notes: of orange blossom, Brigade orange and frosted lemon Heart Notes: are lavender, rosemary, cardamom, geranium, coriander and nutmeg while Base Notes: are of oud, Tonka, lichen, vetiver and teak. Explore the entire range of Perfumes (EDT & EDP) available on Nykaa. Shop more Jacques Bogart products here.You can browse through the complete world of Jacques Bogart Perfumes (EDT & EDP) .